OK, this was a serious challenge. First of all, I could not find a single legitimate artist with my name. I mean, there is Kathie Lee Gifford, but come on. I know how judgmental this is but I really cannot count her as an “artist”. OK, so I tried my maiden name next and remembered not a specific song by an artist with that name, but rather a whole album by a longtime friend of mine, an amazing artist herself, singing my namesake’s songs. Then I tried my original, birth, last name, which later, sort of became my middle name (long story there) and found an artist I don’t usually like but she does have this one Power Song I like to play in my Women’s Groups. But unfortunately…for you…that reminded me of an even earlier song with my name in it. Kind of a traumatic song really as one of my very first “boyfriends” played it over our junior high school’s loud speaker when we “broke up”. (Dating back then was innocent, short, and sweet, but the break ups were brutal!! I searched but could not find much by anyone with my current last name. It’s an unusual, shortened name, for immigration here from Italy back in the early 1900’s. Anyway, I hope you enjoy the variety in my response to the challenge today. I do so love comments, of all kinds. 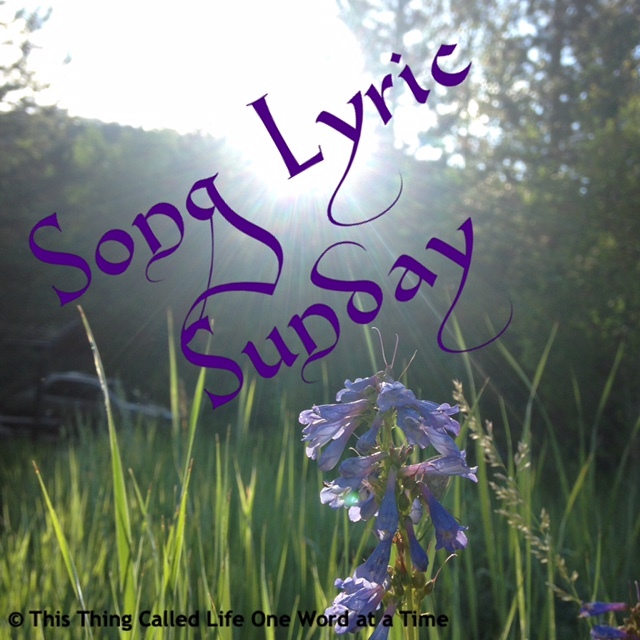 Posted on May 20, 2018 Categories Aging with humor, Art is in the eye of the..., embarrassment, Humor, Music, personal history, SongLyricSunday, Sunday Song LyricsTags Humor, Music8 Comments on SongLyricSunday 5/20/18 Theme-my NAME??? This seems like a great picture post for the theme this week, “Weathered”. I was so excited when I first spotted these eggs in the Rhododendron out in front of my house. I checked the eggs out every day for a while and couldn’t wait to show my Grandsons, who, at the time were about 5 and 7. I took them outside, lifted them each up high enough to get a good look, and then we went back in the house to have the inevitable discussion about the problems of keeping the nestlings as pets once they hatched. Uh oh. I knew they couldn’t have yet, but when we went outside to check things out, there were the broken egg shells all over the ground. I lied. Well, I agreed with them when, already heartbroken about the whole “no pet” thing, they concluded the baby Robins had flown away to a happy life in the sky. I felt awful, for the tragedy (though as an adult, I can almost grasp the whole food chain thing in Nature) but also because I had lied. A few days later I was reading about the habits of our local Steller Jays, about how smart they are. These cousins of the Crow have figured out how to watch other animals, especially human ones, as they discover and then repeatedly return to, a nest full of eggs…. Not only did I lie to my grandsons. Apparently I was also responsible for the discovery and destruction of those beautiful eggs! Now I REALLY felt awful! No Gold Star for this Grandmother today! 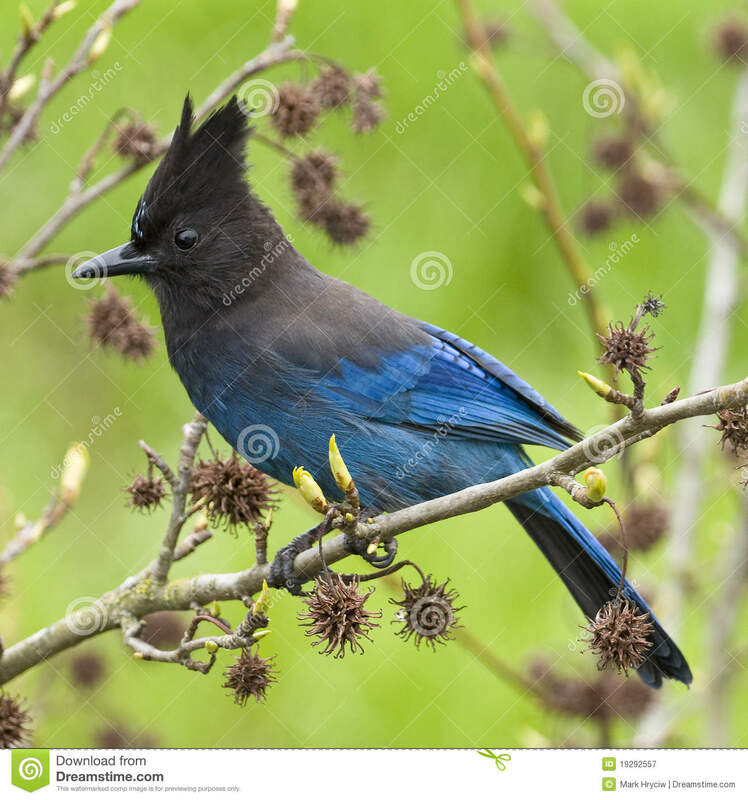 I have my own photo of Steller Jays somewhere but can’t find them right now. The above image was listed online as free.